When she was 10 years old Kimberly Frost started writing to entertain herself and her best friend. Since then she has won the 2009 P.E.A.R.L. award for Best New Author of Paranormal Romance. She likes ocelots. 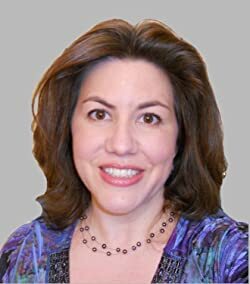 You can read excerpts of Kimberly Frost’s novels at her website. Click here for more books by Kimberly Frost. 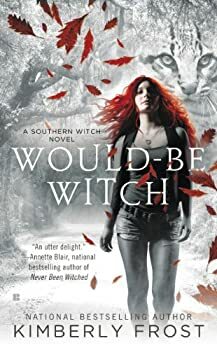 Would-Be Witch (2009) is the first book in Kimberly Frost’s SOUTHERN WITCH paranormal romance series. I picked it up because Tantor Audio has just released its sequel, Barely Bewitched, and offered to send me a copy for review. There are currently five novels in this popular series. 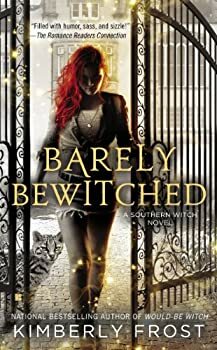 Barely Bewitched is the second novel in Kimberly Frost’s SOUTHERN WITCH series. I recently reviewed the first novel, Would-Be Witch, and wasn’t too impressed with Frost’s ditzy heroine and her aggressive alpha male lovers. If the book had had some redeeming qualities such as beautiful prose, appealing humor, or even an interesting plot, I could have happily gone along for the ride.